All iOS users know the familiar “ding” alert sound of a new email landing in the inbox of your iPhone or iPad. For those of us who live attached to technology, these alert sounds have basically trained our brain to stop what we’re doing and check our inbox, often relying only on the mute button or Do Not Disturb function to get a break. 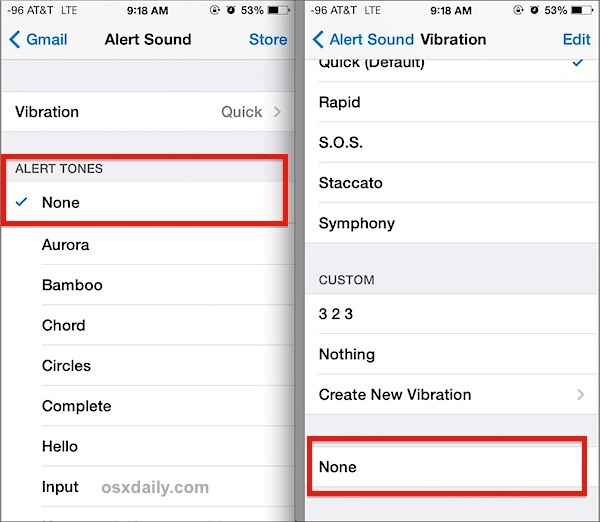 A great option is to turn off the new email alert notification sound completely, preventing that ding sound from activating entirely. This is particularly helpful for users with multiple Mail accounts setup on an iPhone / iPad, where turning off the alerts for one of them isn’t going to impact anything important. Another common purpose of this is to stop getting alerts when an inbox is being pelted with inconsequential emails, which can be effectively sorted by turning off the wider alert sound and adding important people to VIP lists to override that setting. 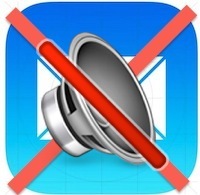 Though optional, if you’re turning off the mail alert sound you will probably also want to turn off the vibration alert, otherwise your iPhone will still rumble every time a new email comes in. The change is instantaneous, new emails will arrive silently. Send yourself an email to test it out, or sign up for our daily newsletter, you’ll get an email from us to test it with. For those with multiple email accounts setup with the Mail app on an iPhone or iPad, this is almost a necessity to maintain some level of sanity, but it’s also helpful if you’re just looking to tone down distractions from largely unnecessary inactionable emails from everything from your bank to Aunt Suzy’s latest forwarded chain letter. 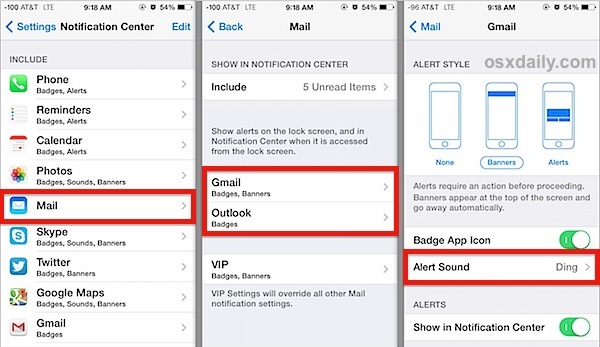 Even if you’re using different mail apps for different accounts like Gmail and Yahoo, you can still turn on or off the alert sounds for new emails arriving in those apps too. As mentioned earlier, it’s a good idea to create a VIP list of contacts to override this setting, but you can go further by setting custom VIP alert sounds as well. Looking for some additional email advice? These 10 Mail tips for the iPhone and iPad are a great place to get started, or browse our Mail archives for more tips and tricks for the emailing portion of our digital lives. As far as focus goes, I think the best option is to turn off the actual alert banners for emails. The sounds are easy to avoid with Mute, but the banners are intrusive as can be. This is why Notification Center in OS X is seemingly so universally disliked, it’s just a nuisance machine of indicators of irrelevant updates and iTunes changes. I looked for this once and figured you couldn’t do it, but typical to Apple’s new iOS 7 wonderland of guessing how to do everything, it’s buried in… NOTIFICATION CENTER? Yea, that makes sense. I just looked again though, and you can get a universal setting with Settings > Sounds > New Mail but it’s universal and not mailbox specific. So you have two different places to look. Good grief. Thank you! Have been trying to figure out where the choo-choo was coming from when sounds had no sound for new mail. Thanks! Couldn’t figure out why the setting in sounds wasn’t making it stop! I keep getting the same email I send on my iPhone?! How can I turn this off? Everytime I send an email I get the same email on the email option on my iPhone?? Can we turn this off? ?, or diversity to trash?? Thankx for any and all help !!! Thank you, you made a key part of my day! I have my iPad and iPhone both muted. I still want to hear the vibration sound to alert me of new texts and incoming emails.